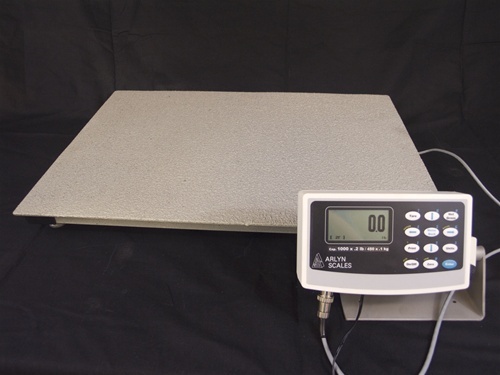 Industries today rely on rugged and durable scales to fulfill their applications in a seamless and consistent manner. With the many competitors providing platform scales, it has become difficult to choose correctly. 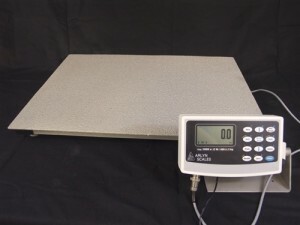 Scales are manufactured from subassemblies that are manufactured overseas. These subassemblies may or may not have what it takes to withstand the rigors of industrial weighing solutions. Providing scales for over three decades, Arlyn Scales knows exactly what is needed to compete in today’s marketplace. Technological advancements have been incorporated into our reputable and highly dependable scales. When the search for the proper weighing equipment is on your agenda, Arlyn Scales has or can build anything you require. We manufacture all of our own subassemblies at our New York based warehouse and can attest to the performance of each model. Our team of engineers can adapt any aspect of our scales to suit your specific application, be it platform size or material composition. The add-on technology will connect you with the automated world with just the touch of a keypad. Any scale manufacturer knows the promise of industrial grade stainless steel. It is expensive but it holds up like no other material on the market. Sometimes the bottom line dictates the use of aluminum. Certainly the proper choice for some applications is the use of aluminum load cells. The temperature of the work environment will always be consistent, the weighing material will be non-corrosive and the bearing weight will be light in nature. Aluminum tends to be easy to tool and on the flip side; it will bend more easily and eventually becoming malformed and unable to produce consistent weight readings.Our use of stainless steel for our load cells is what sets us apart. Stainless steel is much more difficult to work with but it affords many benefits to the user, including durability, accuracy, temperature stability, corrosion resistance, and protection from shock and overload. After much experience in the field, we have designed the best method for load cell placement. Firstly, our load cell selection yields four load cells with matching outputs. We then place them in machine pocketed housing in a welded aluminum frame. This methodology protects the load cells from exterior accidental hits from pallet jacks that can cause shock or overload damage. We then house the digital indicator in a molded display enclosure with rubber gasket protecting the load cells from moisture and ensuing corrosion.Rugged Platforms Expertise in the field of industrial operations dictated that the platforms needed addition protection from harsh environmental hazardous materials. For these industrial applications, we recommend our stainless steel platform with stainless steel ramps. We offer the additional option of coating the platform with a super strength epoxy coating. Embedded with mica and garnet particles, this platform was built to withstand years of heavy-duty usage. Industries that do not require the ultimate in non-corrosive surfaces find that our aluminum diamond plated platforms provide a skid free surface and with the additional ramps, this portable platform scale will endure the rigors of your industrial application.We provide platform sizes suited to most industrial applications in either stainless steel or aluminum. The strategic placement of our load cells has enabled us to design this platform scale with a very low profile of one and seven eighths of an inch. This design allows for very little, if any, movement of the material on the pallets as well as safety for employees from shifting loads.Our industrial platform sizes are as follows: twenty by twenty seven inches, twenty two by forty four inches, twenty seven by sixty inches, thirty by thirty inches, thirty six by thirty six inches and forty eight by forty eight inches. Each platform size is designed in two capacities: five hundred and one thousand pounds. The five hundred pound capacity yields a tenth of a pound resolution and the thousand pound capacity scale yields two tenths of a pound resolution.Designed for the greatest amount of usage by the most discerning industries, this 3200 series delivers accurate and precise weight readings time after time.We offer the option of customizing this platform scale to accommodate your specific area of usage. Because we manufacture our own subassemblies, the turn around time is very appealing. Digital communications interface is what we had in mind with our Digital Scale Indicator. This 32-bit RISC programmable indicator displays multiple weight units and provides one hundred memory locations to store tare and parts counting readings. Equipped to deliver USB or Ethernet capabilities, this high performance, pre-calibrated indicator can deliver weight readings in four tenths of a second. With our RS-232 and RS-485 protocols, bi directional interface allows for the flow of data from the scale to a printer, a computer or a programmable logic controller and for the issuance of commands to the scale from the computer. The beauty of the RS-485 protocol is that operation of the scale is possible over a distance of four thousand feet. Additionally, it is possible to tether up to ten scales together to form a network enabling complete bidirectional interface between the network and one workstation or computer. For industrial applications that rely on consistency and a consistent workflow, where recording weight data, group and item information is a must; our data logging option comes in handy. We at Arlyn Scales know what it takes to create an efficient work environment and have provided all the tools necessary to do so.At Arlyn Scales, we pride ourselves on being well informed and adept at implementing your industry’s requirements from start to finish. Our extremely knowledgeable staff is to direct you to the best suitable option. Our engineering team is at the ready to optimize any aspect of our New York based factory 3200 series scale. Being a factory direct manufacturer, we are able to keep costs down. Not having a middleman means we can pass the savings along to our clients. Long-term customer satisfaction is what we are known for within the weighing industry. Learn more about the custom scale options available to handle multiple weight points and contact us today using our convenient online form or by phone at (800) 645-4301.